Fares will drop beginning Jan. 9, 2018. The biggest bargains are usually good for travel in January and much of February. Airlines generally know when we want to fly and when we don’t. However, they have to fill their seats all the time so they lower fares during slow periods to lure us back. One of those unpopular periods is a cold and wintry season for most of us, with kids back in school and lots of folks content to stay home. Yep, we’re talking about January, and you shouldn’t stay home if only because it’s so darn cheap. When does the January deal zone start? For most of us, fares drop beginning Jan. 9, 2018. This can vary by a day or so depending where you are but a recent Southwest Airlines sale advertises deals beginning Jan. 9. Once we hit this date, watch for super-deals on U.S. flights and flights to Europe. What does “super” mean? How about New York to Madrid for $376 round-trip sound or Los Angeles to Copenhagen for $341. Both these fares were found on my site just a couple of days ago. How long will this cheap period last? This first deal zone of the year generally lasts through much of March but the biggest bargains are usually good for travel in January and much of February. 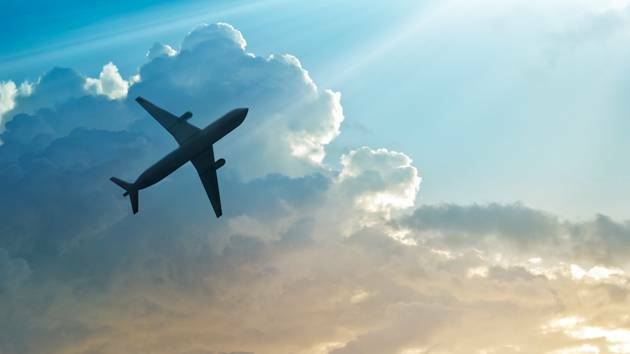 Are there any exceptions or any times when it’s more expensive to fly? Yes. The first exception occurs in February for the U.S. holiday of President’s Day weekend. This is an increasingly popular time to fly and it’s reflected in higher ticket prices for flights on Feb. 15, 16 and 17. Another exception is the standard one that it’s generally cheaper to fly domestically on Tuesdays, Wednesdays and Saturdays while Friday/Sunday itineraries are expensive. However, the upcoming January deal zone is so good we saw some cases where the weekday fares were identical to weekend prices (New York-to-San Francisco, $227 round-trip on all days during certain periods in January). When does this cheap travel period end? As you might guess, it has to do with when people want to fly again and this demand picks up just in time for spring break. Prices then continue to rise bit by bit until the arrival of the peak summer season. When do prices change for Spring Break? Spring breakers like using a full week for travel so expect fares to rise for weekends only, and this will begin for the weekend of March 10/11. Higher weekend fares will continue for the rest of March and into the latter part of April; weekday fares will remain largely unaffected. Suggestion: Spring break travelers can avoid the highest ticket prices by avoiding weekend-to-weekend itineraries; instead, fly Tuesday or Wednesday to Saturday (or vice versa). Follow the usual shopping windows: buy domestic fares from about 3 months to 3 or 4 weeks before departure and international tickets from 5 months to about one month ahead. Discount airlines sometimes allow you to cut it a little closer to departure time, so keep that in mind, too, but above all, remember to always compare fares. No single carrier always has the best deal.